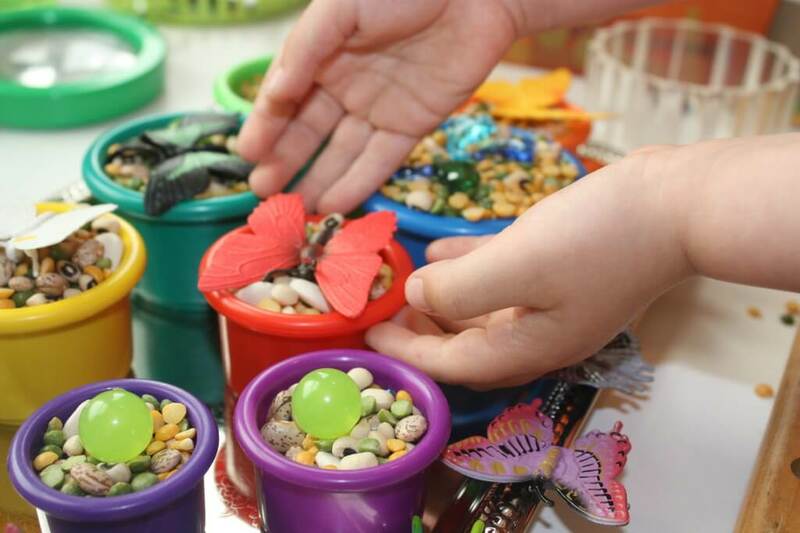 Come celebrate springtime by creating a butterfly sensory bin or two with us. Preschool nature, sensory and fine motor play! He made up this tray so nicely and really took great care with it! The colors are beautiful and so visually stimulating for him. I supplied him with the tools and he came up with the idea! 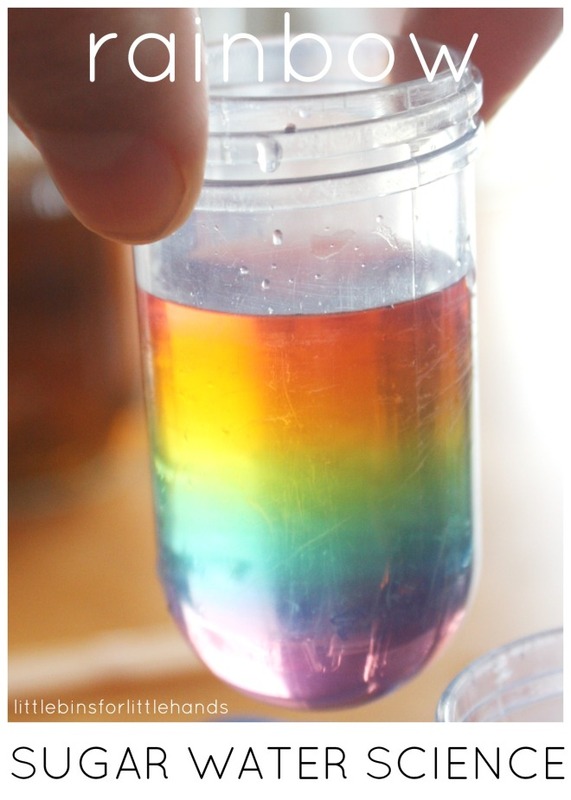 An open ended invitation to play with hands-on materials can result in some beautiful things! I love his desire to create and explore with the butterflies here! 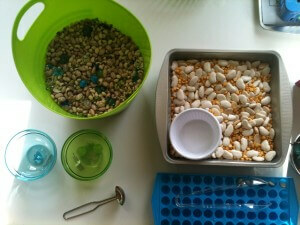 This week we have still be enjoying bugs but I did a special twist with butterflies and beans sensory bins! He really seemed to like it! 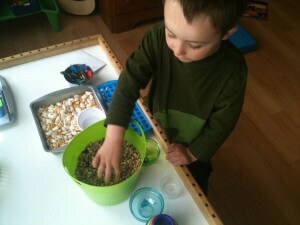 He spent a greater than usual time using pretend play with the butterflies and the beans sensory bin. He made pools of all sorts and rafts for them to play in the “warm water”. 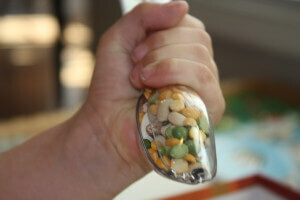 He scooped and poured and filled many times. I took so many beautiful pictures so I will write less and share as many of the great shots that I can. Sometimes I like to set up our sensory bin invitations the night before to surprise him in the morning. Often we have one big bin but this time I thought I would see what would happen if I offered two separate but similar sensory bins. Would he mix them right away? Would he keep them separate? He definitely examined the two bins! I had mixed large green and blue colored beads into the green basket sensory bin and had placed a green and blue container and a mini ladle next to it with the hopes he would search and sort the large beads to work on fine motor skills. Not much luck there! The other bin had a pair of plastic tongs and a fun mini ice cube tray. He is still on the young side so I was hoping he would just work on picking up the large beans and fill in the ice cube tray! He did a great job and also experimented with the tongs and beans too! I thought it would be fun to put the puzzle pieces into the beans sensory bin and have him use the tongs to put the pieces back! 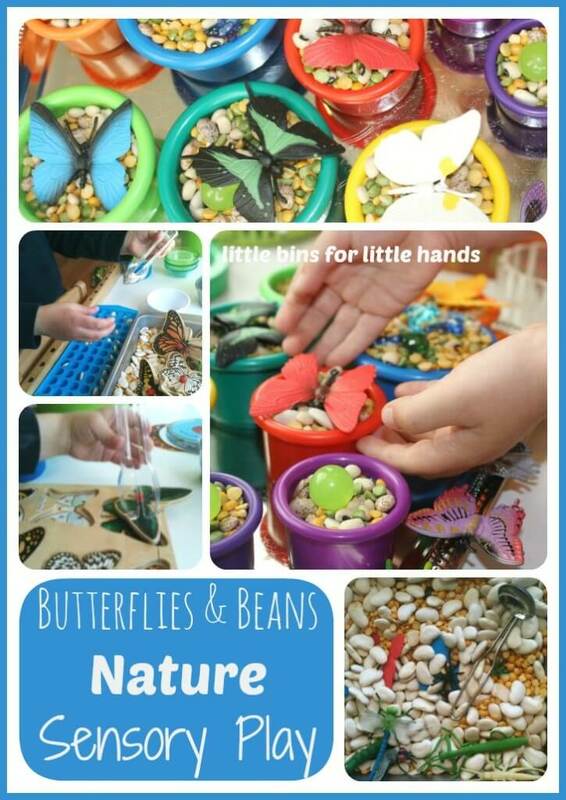 Once we had done a few little activities, he wanted to mix the beans sensory bins all up, and we played with the butterflies and our little containers . He had a lot of fun with these butterflies and enjoyed the feeling of the beans sensory bins! 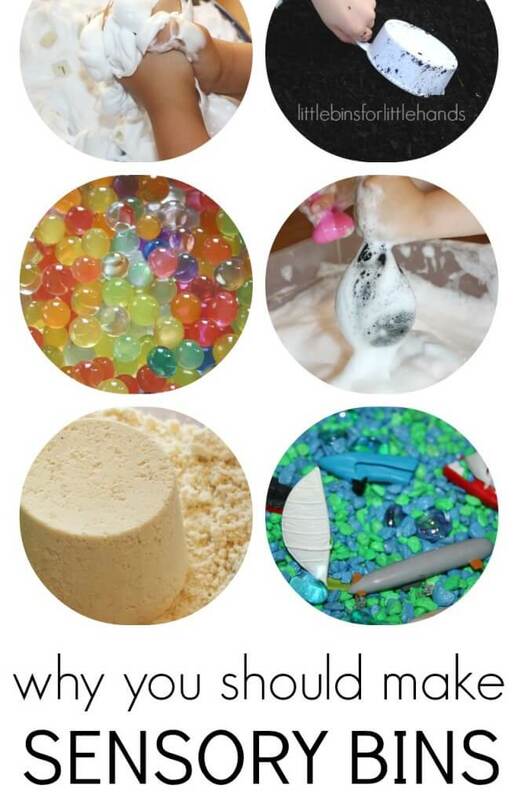 I love doing sensory activities with my toddler. I haven’t tried beans yet, but I really should. Looks like lots of fun. Thank you and done! Beans are so pretty for spring and there are so many different colors and textures! 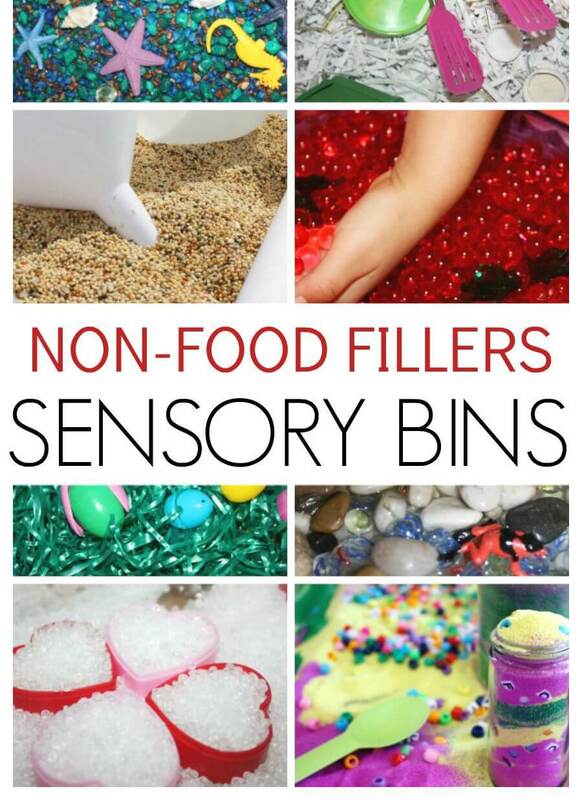 I love your sorting idea with sensory bins! 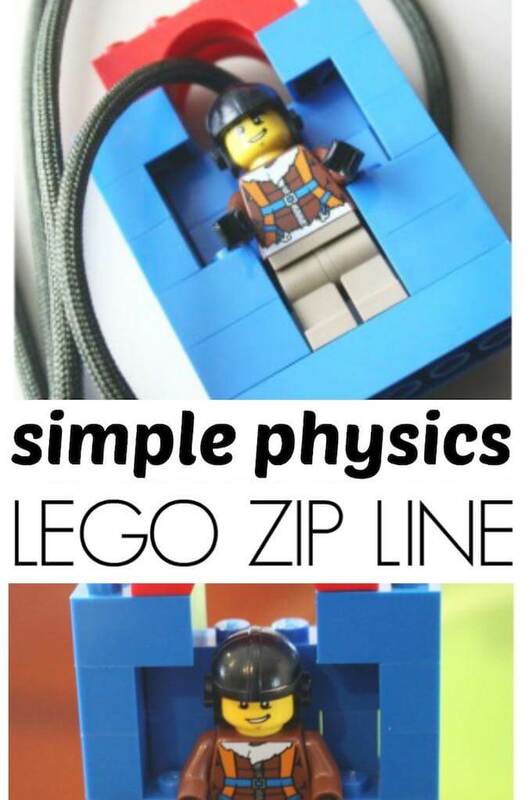 I am definitely going to be doing this with my Little Lady. She loves butterflies and I think this would be so much fun. Thanks for the great idea. I hope she loves it! We had fun! What a beautiful combination – beans and butterflies. I love your colourful sorting bowls. Very inviting and enticing. Thank you so much. I did love the colors and my son is very visual so I htink he really enjoyed that part too. Love your site! GREAT Images! Thanks for stopping by the Mom’s Monday Mingle SEVEN days ago… whew, the week got away from me! Happy Mothers Day, too. Same to you and thank you for commenting! The week does get away and I am behind from last week already! Very pretty to look at and fun too! Thanks for sharing at Mom’s Library! You bet, thank you for a great space. I thought it was so pretty too that I just kept taking photos! Oh, how fun!! The butterfly pots are beautiful!! Thank you for sharing at Sharing Saturday! What fun ideas! I love the pictures!! Thanks for sharing with us at Share It Saturday!